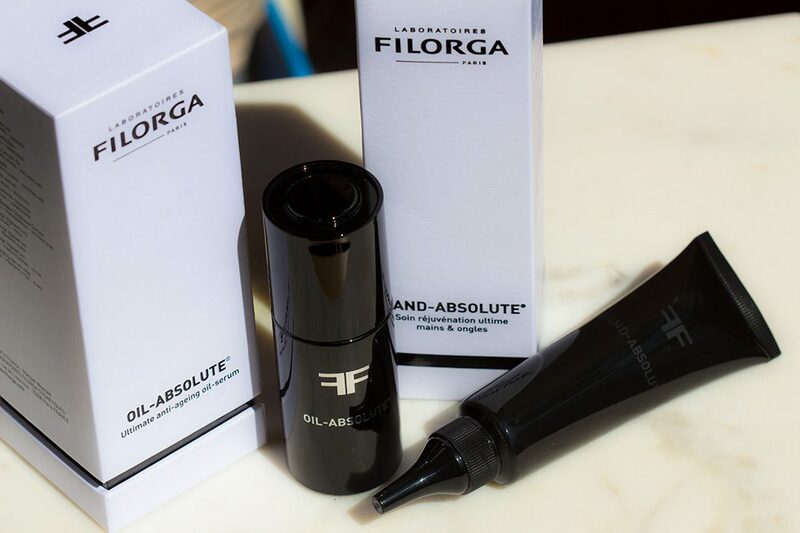 FILORGA OIL-ABSOLUTE® Ultimate Anti-ageing Oil-Serum was launched last year and I was kindly invited to a lovely event during which we’ve learned all the details about this product. REACTIVATED SKIN IN JUST 30 DAYS ! ABSOLUTE ANTI-AGEING NUTRITION: 4 precious oils [Camellia + Buriti + Jojoba + Apricot] enriched with eternal amber envelop the skin to nourish it intensely and provide supreme comfort. SUPREME ANTI-AGE REACTIVATION: A powerful shot of active ingredients [smoothing + firming + unifying + illuminating] paired with a regenerating hexapeptide [derived from stem cell research] and antioxidant polyphenols [boosting skin defenses] work in synergy to reactivate exhausted skin. 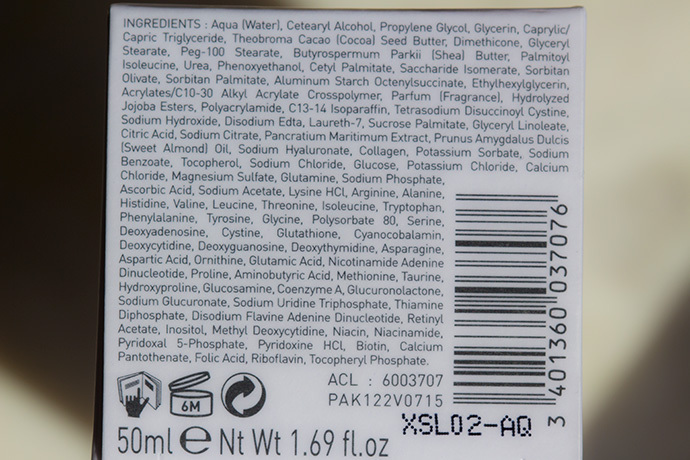 I couldn’t use the product immediately after the event because it was a hot period (it was the end of June) and I couldn’t stand anything oily on my skin; so I put it aside and only started using it after the Summer holidays when I needed something hydrating and soothing because I had spent many weeks at the seaside. 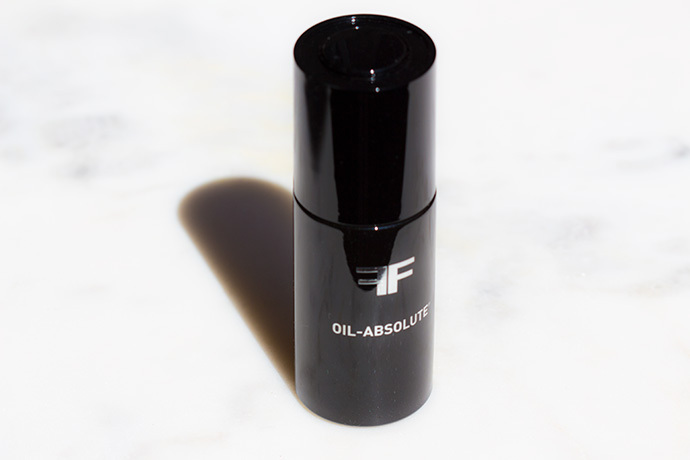 Since then I’ve been using the OIL-ABSOLUTE® in episodes of maximum 2 weeks consecutively because, for me, the product is more efficient that way. It comes in a black glass bottle with a dosing pipette, which fills up automatically, so it gives the perfect dose for you to use (a little goes a long way, I’ve been using the product for almost a year and I don’t know if I have managed to use half of it). 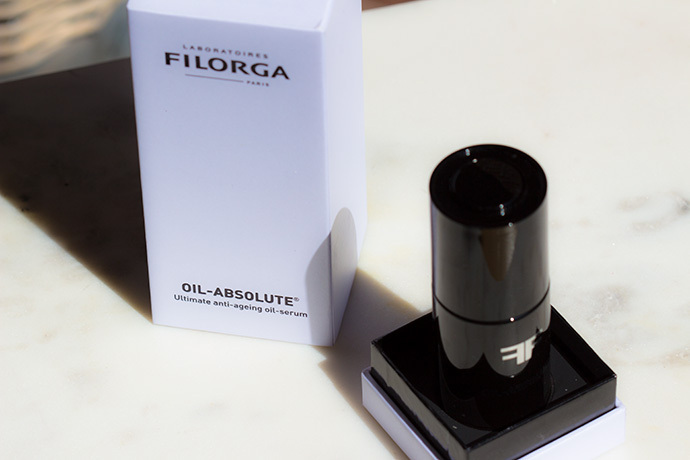 It smells slightly sweet, it’s a relaxing perfume which fades away after application (the majority of FILORGA products smell the same way). It is more like a dry oil, it’s definitely not heavy on the skin, however it’s not completely absorbing into the epidermis either. In my opinion, it’s the kind of oil that matches all skin types and needs. I recommend it to all 35+ ladies and gentlemen no matter their skin type! It immediately relaxes the epidermis, this is an effect that only the best face oils can produce. 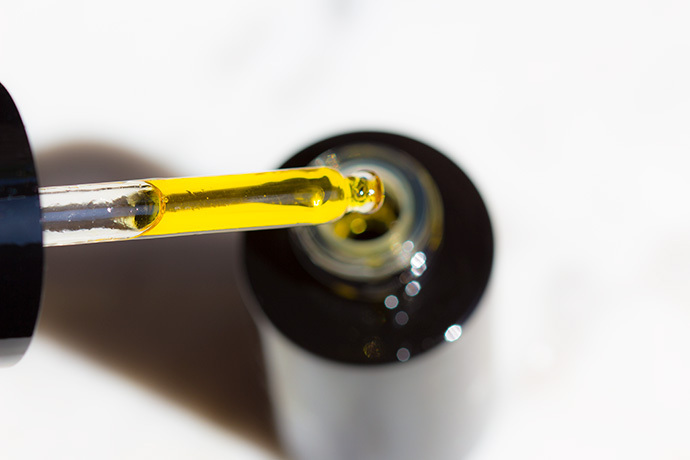 It also has very strong anti-inflammatory effects; when my skin is irritated, sensitive or it breaks out, the oil solves the issues during one night (you should know, however, that I don’t suffer from acne or other serious skin issues). It generally improves the skin texture which feels and looks smooth, fresh and radiant. It has a firming effect, however nothing dramatic. I haven’t seen any effects on my dark spots, however, mine are quite small and only visible during Summer. It is a GREAT makeup base! 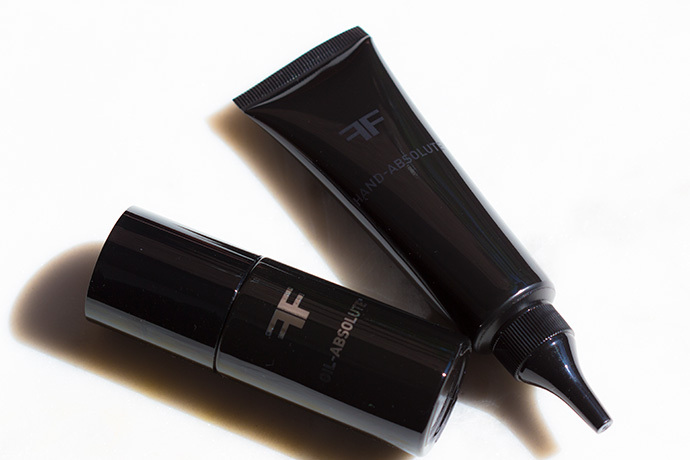 I love applying my foundation on top of the OIL-ABSOLUTE® because the combination produces a beautiful dewy & sheer effect and the complexion looks fresh and it has a natural glow throughout the day. I love to use the oil when I give my skin a face massage! 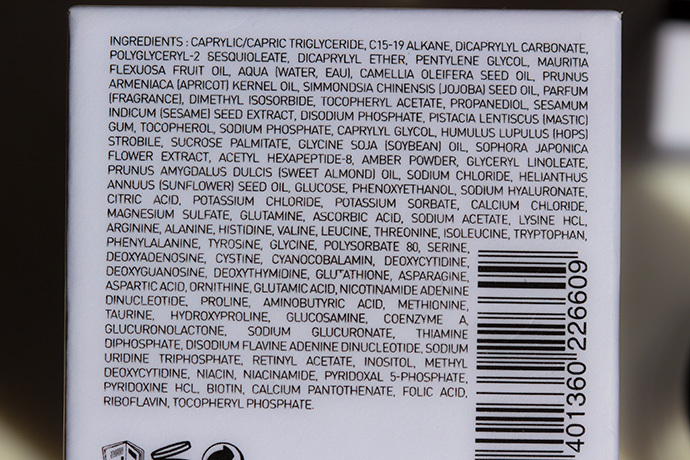 The product can be mixed in any cream of your choice, day and/ or night! “DRY AND DAMAGED HANDS – BRITTLE, RIDGED NAILS – DARK SPOTS, UNEVEN SKIN TONE – AGEING SKIN. ANTI-AGEING MANICURE IN 30 DAYS. 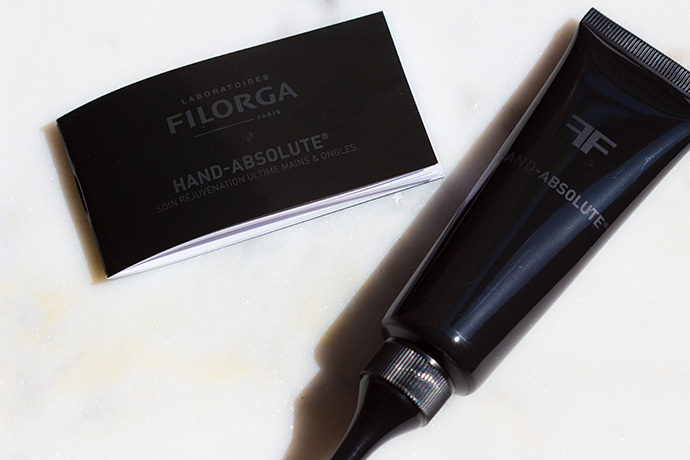 Absolute nutrition: a repairing complex of exclusive butters is incorporated in a unique ultra-penetrating creamy texture that deeply nourishes the skin without leaving a greasy film. Complete anti-ageing: an active ingredients trio containing hyaluronic acid, collagen and lipopeptide smooths, firms and plumps in a single step for visibly younger-looking hands. Perfectly even skin tone: a rare clarifying sea Lily extract combats dark spots and restores an even skin tone for hands that radiate with a youthful glow. If you live in a windy area, deal with hard water, have dry hand skin, have wrinkled hand skin, then this product is a very good choice. It has a creamy yet light texture, which absorbs immediately into the skin and plumps it instantly. It offers hydration and comfort until the next hand-wash. I didn’t see any effects on the aspect of my nails, however it improves the aspect of the cuticles. I don’t have dark spots on my hands yet, so I don’t know if the hand cream is efficient against them. 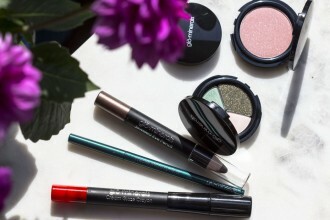 The sleek packaging can be easily carried in the bag & makeup-bag and a little goes a very long way. This is my second tube and I’m definitely going to buy the product again, I recommend it! Never heard of this brand but looks nice I love the packaging. I am obsessed with skincare so I would definitely be looking into the oils. I would try this out! I am always looking for things to help my skin. My hands are always so dry. This is a cream that I would like to try. Oh I have never heard of hand and nail cream before. I would love to try that out! I love a good serum they have to be one of my favourite skincare finds and this one in particular sounds absolutely divine! I have never heard of this before but it sounds great! I totally need to check it out because I love me some antiaging products! I never really thought about how much hands age until I read this post. You can tell how old someone really is from their hands typically. 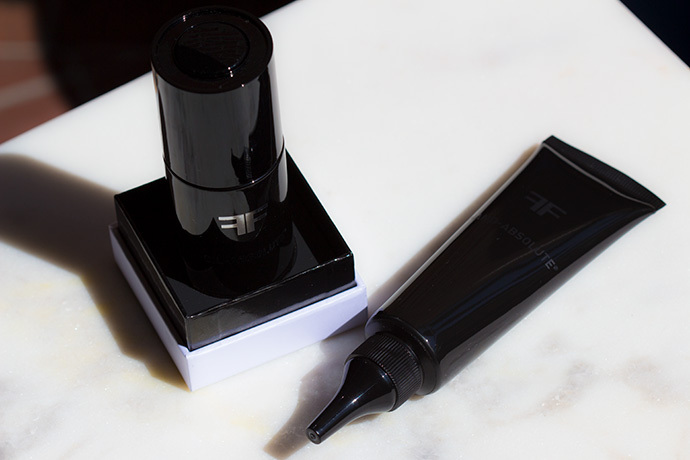 This cream and serum are about to help keep the secret a little better! Just what I wanted. Been looking for this solution for a while as I’m past 35 already. thx! This one sounds like a nice product to try! Thanks. I have never heard of this brand. Looks like an excellent one though. Great job at explaining the benefits. Will sure check this out. I have never heard of this before, but I can see how it would be beneficial! Guess it is worth a try! I have never heard of this brand. Sounds cool. One definitely need a product like this that rejuvenates nails and hands the areas which usually ignore. This brand seems really luxurious and effective. Definitely going to recommend this to my mom! I have never heard of this brand before but the packaging looks legit. I am not much into skincare products but i will definitely give it a try. I had never heard of this brand before but loving the packaging! it looks so simple yet chic! Previous articleNICHE PERFUMES – WORTH THE HYPE?